Hey Matt, thanks for chatting to us today. In your own words can you introduce yourself and tell us a little bit about what you do? Hello, thanks for having me. I'm Matt, 25 years old and currently working as a multimedia designer but I have a big obsession with the outdoors which has stemmed from my love for photography and years of involvement within Scouts and Duke of Edinburgh award. My day job is great as I get to be creative on a daily basis but equally this is a big strain so I enjoy nothing more than getting away when I can and just switching off from the world. I've always been in to photography and it's all thanks to my dad who first introduced me to film on an old Olympus OM2 and later taught me how to use medium format and so on. From there on I have always been in to something creative and couldn't see myself doing anything else, mainly because I was pretty useless at everything and found it boring so from very early on I always knew I’d end up doing something creative for a living. The outdoors and photography have only really overlapped in the past few years. I've always been in to landscape photography, but it's only ever been a little side thing when on holiday or road trips and never really took it all that serious but now I use it as the perfect excuse to get away and fuel my trips. The past few years I feel I’ve been fairly successful with my personal photography and landscapes with two positions as a finalist in RHS photographer of the year and International garden photographer of the year as well as launching my first solo book. What style/feeling do you try and create with your images? I try to capture the atmosphere at that moment, what conditions I am experiencing and of course with most landscape photography and the outdoors the weather plays a big role. I seem to only attract bad weather and almost every trip away in the past few years has had nothing but rain, low cloud and fog. So a lot of my photography is rather dark and tends to focus on smaller detailed pieces rather than the big vista's, simply because they look rubbish when it's just cloudy and wet. This style has crept over in how I shoot in general now and although you can't help and grab the vista shot in a big epic sunset/rise or view, I swap to a telephoto lens and start picking off trees in the distances or looking for paths and patterns in the landscape to create smaller more intimate photos. To this day I still use those same Olympus OM's my dad taught me when I was younger but I often stick to digital now for ease and for my client work which is typically a lot of video and animation. I use a Nikon D500 which is a bit of a beast but it's worth carrying the extra weight knowing it can survive pretty much anything the outdoors throws at me and it's super because you can do pretty much everything you need with it, whether it is time lapse, video or photography. I always have a tripod with me, it's such a vital piece of kit for me it just lives in the car or on my rucksack now. I use a Vanguard Alta Pro 263CT or Veo2 which both are lightweight and again gives me unlimited options whenever I need it. Whether it’s coastal, landscape, mountains, strong winds, macro or studio. As I am big fan of the outdoors and previously an expedition leader for DofE and writer for MyOutdoors I have a wardrobe full of kit. I'm not even going to start going in to what I own but there is a lot! It’s quickly coming to that time of the year where I review my kit and then donate old kit to local Scout groups and charities, so they get more use elsewhere. It’s something I highly recommend to anyone if they have surplus kit. Can you show us your favourite photograph that you have taken in the UK and tell us a little bit about why you love it? That is a tough one, but I'll have to go with my favourite from this year as I have a lot to choose from. It was my first visit to Durdle door and it was very wet! It was as we came over the top of the cliff to see the stairs down to the beach you could see a few brave (or mad) people out and were dotted along the beach and all you could see was the coats and the big white cliffs standing out in the sea mist. The second choice would be my Dinorwic Pattern as you’ve seen above, I’m still very proud of this photo. Not because of the competition placement but because of the lens and conditions I was in to capture it. It was raining, and I was using a very old somewhat broken 12 year old telephoto lens and this trip was the last time the lens would get used as the rain finally got in and ruined the lens. The quarry is some distance from the road side so to get this frame you need to zoom right in with a 300-400mm lens and add the wind and rain it’s an interesting task to get without trying to crank up the ISO. Are there any other photographers who you admire or who have influenced your work? More recently I've stopped looking at other photographers and even Youtuber's and started looking closer at my social media or disregarding all of this and doing my own thing. I used to watch a lot of Youtube photographers and their trips. This was not only motivating but also the opposite and putting me down, I found I was getting more and more depressed because I couldn't get out and the flip side, I was spending my time watching the videos rather than being out. So, I stopped comparing and watching others and just do my own thing now, if I want to go somewhere I go, if I get a good photo then perfect but it's more about the experience and getting out. One benefit I have found with social media has been the meet up's and over the past few years I've been about the country meeting loads of other photographers who we see on the weekly competitions and this has been great fun to do. Some of the trips we arrange such as SnowdoniaTogFest, London or Brecon Beacons have been better and stood out compared to past trips. As you are now surrounded by likeminded people out to enjoy the outdoors and photography. Can you tell us about any projects you are working on right now? 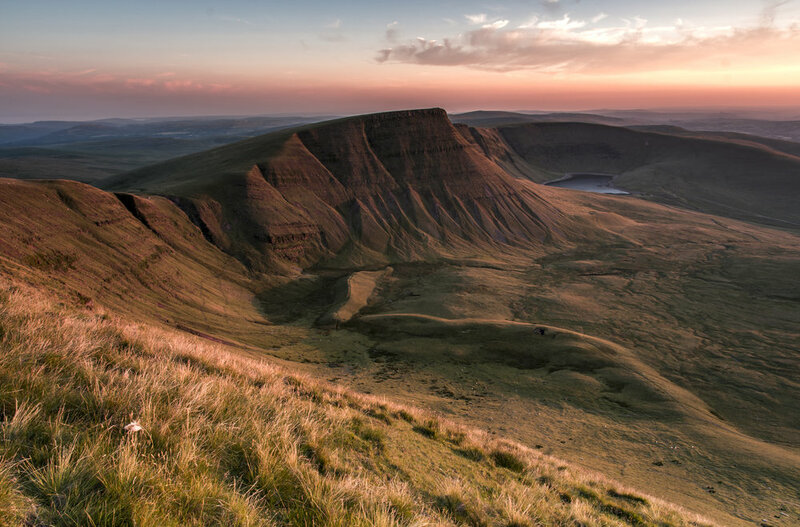 My current project I am working on is my weekend trips to the Brecon Beacons. It's not an area I've explored much of, so I wanted to get to know the National Park a little better and now after 12 weeks of back and forth visits I know it a lot better. I've climbed a lot of mountains, spent a lot of nights in a tent and been in every weather condition bar snow yet and it's been great fun regardless of weather. I'm personally looking forward to some colder weather and getting back out for some Winter camps. What’s your favourite place in the UK to shoot? Now that is an easy question to answer. Wales, I love the country and visit every year to numerous areas, this probably has developed from all the family holidays to South Wales around Pembrokeshire which is a beautiful stretch of coast and well worth a visit if you haven't been. More recently I've visited the Brecon Beacons and the Gower to have an explore anode course the much-loved Snowdonia is hard to beat. However out of all the locations across Wales, Elan Valley and the Cambrian Mountains has to be my favourite area. 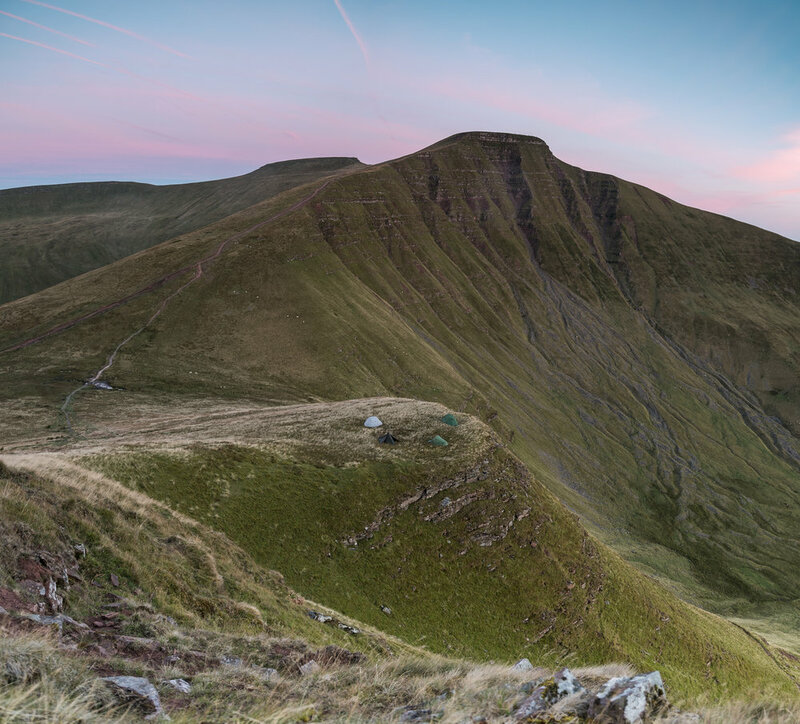 It's away from all the tourists and crowds of Snowdonia, it's more remote than the Brecon Beacons and has some good mountains to climb and woodland to get lost in and plenty of bothy's and trails to enjoy whether you are hiking, horseback or cycling. This is where I finished my Duke of Edinburgh Gold award and had two fantastic expeditions and several visits after and every visit brought different conditions, so I was really spoilt on all the trips with weather and views. Have you always had an interest in the outdoors? Where did it start? Since the age of six I've been involved in Scouting UK. Starting at Beavers and worked right through and eventually becoming a leader and when I could join the Duke of Edinburgh Award these went side-by-side for many years. I finally completed my DofE awards at the age of 24 just before my birthday so I just got them in time and only recently I went to Buckingham Palace (Summer 2018) for my Gold Award presentation. Since then I have left as a leader and continuing on my own path with my photography and outdoor work, I have some exciting pieces I am working on for 2019 which will combine photography, teaching and the outdoors. Do you take part in any outdoor activities regularly? Cycling, hiking, mountaineering, kayaking, camping, climbing, archery and a lot more. Not much eh, I try to spend as much of my time at weekends outside to get away from a computer screen as I am often glued to my computer for work during the week so it's a nice change and give my eyes and brain a break from the creative world I work in. What advice would you give to anyone who wants to start photographing the outdoors? I've been out many times and spent countless hours waiting for events or the perfect opportunity and it hasn't happened, but it just spurs me on to keep going. For example, I joined a few other photographers recently up on Cribyn in the Brecon Beacons for the Perseid meteor shower. With four cameras pointing at the sky, only one of us managed to get the full trail but we all managed to get a small one off in the distance. The rest of the weekend was a complete wash out so wasn't what I had imagined and planned but it was still an amazing weekend spent with great company. I will just try again next year. What is the most amazing moment you have experienced when out shooting? It's a simple one but it was a sunset after the first day in the Cambrian Mountains on my first DofE Gold expedition in 2016. The day was long and hot. Temperatures were 30+ plus with little shade. After 16 odd miles we were all exhausted and all collapsed when we reached our camp for the night. The leaders tipped us off about an old quarry which offers amazing views over the mountains and towards the coast. It didn't disappoint! The view was golden and we all sat at the top of this quarry watching until it went dark, all enjoyed a laugh and dinner up top. Perfect end to the first day. Is there anywhere in the UK you want to shoot but haven’t yet? Scotland I've only been twice and both times I didn't have a camera so to go back and spend some time up there exploring. I've got a long list of locations I want to visit, some pretty obvious like Iceland, Norway and Faroe Islands. I live in Berkshire and not far off the Chilterns and have lived here most of my life. I'm very lucky in the respect that it's very easy to get around here with two major motorways and plenty of public transport in and around London area so it's only a three-hour drive to get to some good mountains or a little over an hour and I'm on the coast. If it's not going further afield the Chilterns offers some beautiful walks around the countryside as well as plenty of cycling routes both on and off road to enjoy. 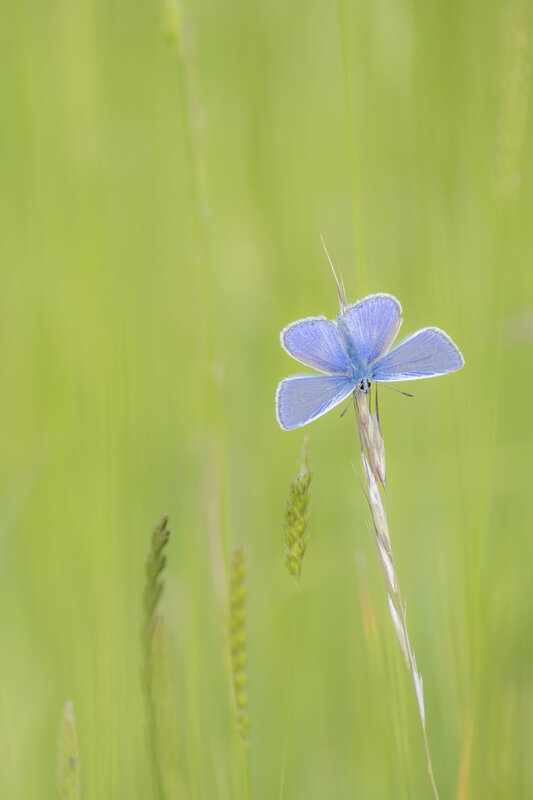 It's also full of wildlife from deer, birds and bugs so I get to have a lot of fun with some macro and wildlife photography every now and then for a change.